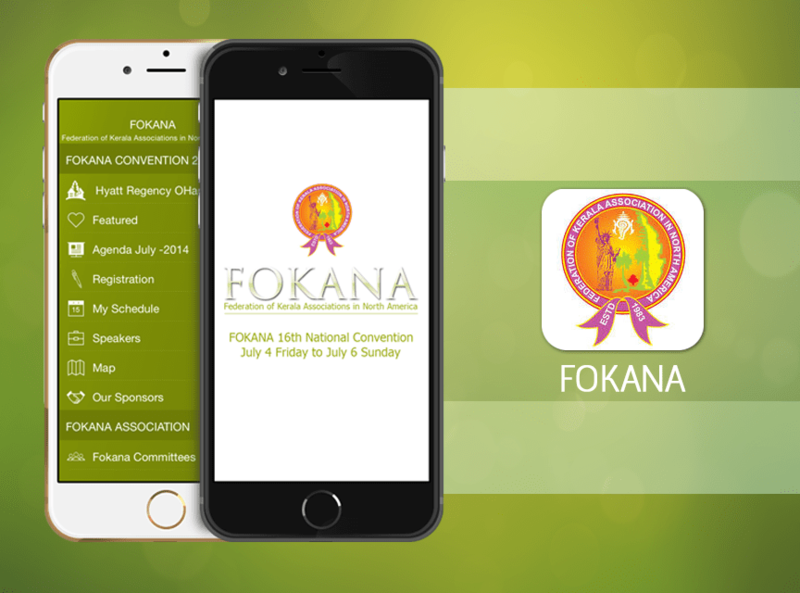 FOKANA is an umbrella organization of Malayalee associations in North America and Canada. Since its inception in 1983, FOKANA has earned its reputation and received global recognition.It seeks to preserve the North American Malayalee integrity and promotes the Kerala Cultural identity. 2)Agenda list in the app gives you description about the programs, date and time of each. 3)My schedules will allows everyone to add their favorites programs and thereby gets reminders. 5)Social Media option in the app direct everyone to the Network Interfaces. 6)Information Menu will helps everyone to register online and provide feedback . 7)Sponsors list shows everyone who are real organizers of the event. 8)Also, Hotels & Venue directs you to the destination of the event.